Dr. Hung focuses on airway management, clinical pharmacology and drug delivery systems. 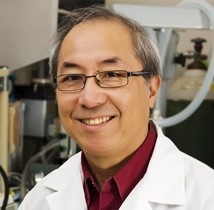 Through collaborations with other clinicians and scientists at Dalhousie, Stanford, and the University of Toronto, Dr. Hung has developed and patented a number of innovative drug delivery systems and medical devices. Hung OR, Stewart RD: Lightwand Intubation: I. A new intubating device. Can J Anaesth 1995;42:820-5. Hung OR, Pytka S, Morris I, Murphy MF, Launcelott G, Stevens SC, MacKay W, Stewart RD: Clinical trial of a new lightwand (TrachlightTM) to intubate the trachea. Anesthesiology 1995;83(3):509-514. Hung OR, Whynot SC, Varvel JR, Shafer SL, Mezei M: Pharmacokinetics of inhaled liposome-encapsulated fentanyl. Anesthesiology 1995;83:277-284. Mulcaster J, Mills J, Hung OR, et al. Evaluation of proficiency of laryngoscopic intubation by novice intubators. Anesthesiology 2003;98(1):23-7. Szczesniak A, Kelly MEM, Whynot, S, Shek P, Hung OR. Ocular Hypotensive Effects of an Intratracheally Delivered Liposomal )9-Tetrahydrocannabinol Preparation in Rats. Journal of Ocular Pharmacology and Therapeutics 2006 2:160-7.